Some people are natural, born entrepreneurs. From an early age, these individuals exhibit unique traits associated with business success, including creativity, leadership, passion, and perseverance. Therefore, no one is surprised when in adulthood, these people achieve entrepreneurial success. However, being a successful entrepreneur takes much more than personality. You need the right mentality coupled with basic business know-how—both teachable attributes. ValueYour Skills—For starters, be realistic about your strengths and weaknesses. By taking stock of existing skills, you will identify gaps that need filling. According to statistics, 65 percent of all companies fail due to people-related problems. To avoid this, consider your strengths and weaknesses in respect to the people around you. For instance, you may possess outstanding marketing skills but struggle with technology. Recognizing that weakness gives you the opportunity to bring someone onboard who excels in technology as opposed to marketing, to create a winning team. Identify a Mentor—Every business person needs a good mentor. Especially during the early years of working as an entrepreneur, your mentor will answer questions, provide guidance, and most importantly, offer honest feedback. This is the person that you will use as a sounding board and who in turn will provide you with 100 percent honesty and support. While you’re building a business, your mentor will prepare you for challenges and guide you in the right direction. Be a Good Listener—Always listen to what customers say. Startup companies often struggle and even fail because the owner did not listen to customer concerns, ideas, and complaints. By learning about the customer’s problem, you can promote your product/service as a viable solution. Ultimately, listening builds a level of trust that turns into customer loyalty. Develop Good Habits—As an entrepreneur, good habits are essential. If you use the five Ps—perception, provocation, possibilities, practicality, and persuasion—your new business will soar. These habits cultivate opportunity, identify solutions, and close deals. 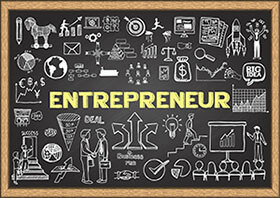 Using the Right Resources—If you’re interested in being a successful entrepreneur, take advantage of the right resources, including opportunities such as seminars, webcasts, formal business courses, networking programs, and so on. The goal is to discover your learning style and then choose resources accordingly, to become better. Regardless of whether you are a merchant who handles credit card processing or an actual credit card processor, Chosen Payments offers a broad spectrum of business solutions to help you become a successful entrepreneur. In addition to superior marketing, Chosen Payments aids in mobile applications, ecommerce integration, online reporting, credit card authorization, and much more. Remember, as a new business owner, you must take full advantage of every opportunity, which is exactly what Chosen Payments offers.